The legendary Jeep Wrangler is the perfect vehicle for those who want more adventure in their everyday lives in Hobbs NM. Built for off-roading, the Wrangler features removable parts to make the vehicle lighter, and also allow you to enjoy the great outdoors more. If you’re ready for your next off-road journey, learn how to remove the doors off your Jeep Wrangler with this step-by-step guide from Stanley Chrysler Dodge Jeep Ram Brownfield. Disconnect the power cables by removing the footwell that’s under your dashboard or by the b-pillar by removing the attachment clip. Remove the door straps by lifting them off the hooks gently. Once the doors have been removed, store them in a safe place. Before replacing the doors, be sure you add lubrication for easier removal next time. Why Would I Take the Doors off my Jeep Wrangler? If you’re a new Wrangler owner, or have been a long-time Wrangler owner and never thought about removing the doors, you may be wondering why anyone would do so. The Jeep Wrangler’s doors are removable for multiple reasons, but the main reason is for better immersion during a Lamesa excursion or an off-roading adventure. Jeep enthusiasts will praise the open-air experience a Wrangler allows them. Additionally, removing the doors helps with fuel consumption by removing weight off of the vehicle, which is important if you are making long-hauls out on the trails. 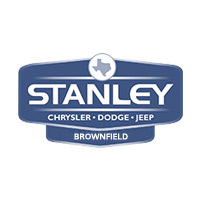 Let the Service Experts at Stanley Chrysler Dodge Jeep Ram Brownfield Help! Should you need further assistance with your new or used Jeep Wrangler, or are looking for advice or accessories for your next trip, our service team at Stanley Chrysler Dodge Jeep Ram Brownfield is here to help! Get in touch to schedule an appointment, and hit the open road in no time.